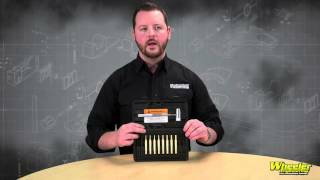 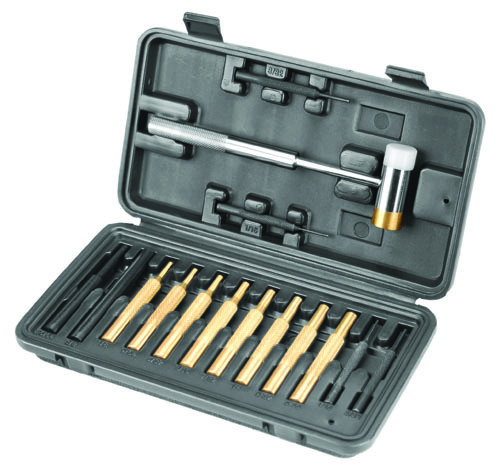 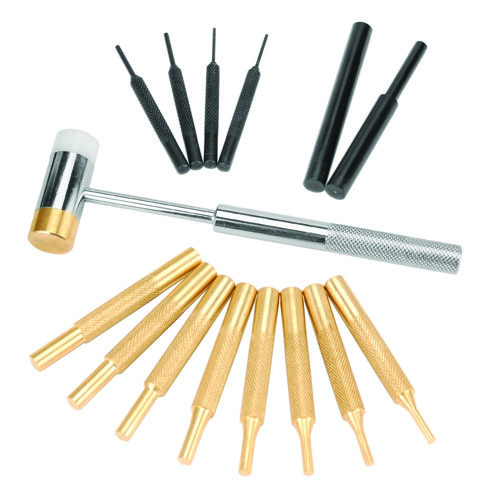 The Wheeler® Hammer and Punch Set includes a polymer/brass combination hammer, eight precision brass punches, four steel punches, and two plastic punches. 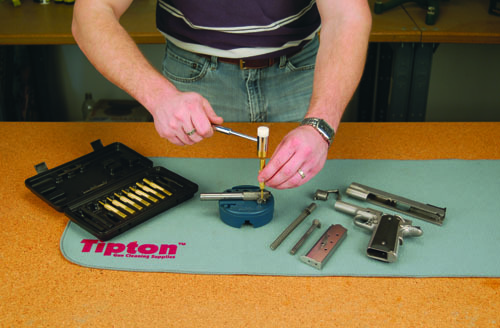 It makes a great tool for driving pins, drifting sights, at the shooting range or on your workbench. Includes a convenient carry case that securly holds all components.